Indonesia: great power on our doorstep? Two nights ago at the ANU, Professor Hugh White delivered a solid speech that lucidly and methodically explained why we, Australia, should be considering Indonesia with more care. 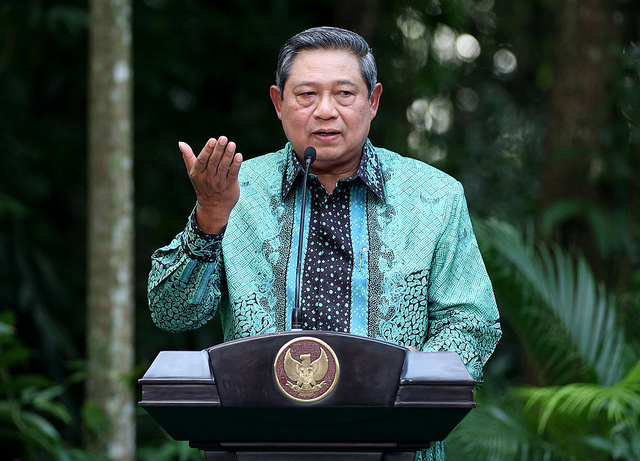 Projected to be the world’s fourth largest economy in a matter of decades and increasing in clout as a regional power, if not great power, Indonesia will be a force to reckon with, according to White. As such, many Australians will be forced to overturn their assumptions about Indonesia as a poor and weak country. White implored the audience to consider ways of redefining the bilateral relationship with Indonesia beyond third order issues like drug smuggling, people trafficking, border protection, and counter terrorism. Pointing to further evidence that the relationship was not as robust as Government would have us believe, White pointed to “fault lines” in the relationship caused by Australia’s involvement in East Timor’s independence which, for some time, severed diplomatic relations completely. Against the backdrop of a shift in the strategic balance in Asia, and as Australia aligns itself towards the so-called “Asian Century”, White invited us to consider whether Indonesia would be an asset or an ally. In his view, Indonesia holds great potential to shield Australia from the threat of major powers in the region, if we get our bilateral relationship right. If we do, then we may start to think about the kinds of Defence capability that would complement the armed forces of Indonesia so that both countries could work towards a kind of “forward defence”. White wrapped up his speech with five points to improve the relationship: 1) improve DFAT political reporting, 2) focus less on third order issues and more on China, 3) de-emphasise the role of aid in relating to Indonesia, 4) abolish travel advisories (as negative ones have tended to upset Indonesia), and 5) increase the importance of the bilateral relationship in Australian politics. There are, however, a few extra elements in relation to Australia-Indonesia ties White might have explored in his speech (and I’m sure he would have, given more time), and I would like to take up three of his points to develop these further.